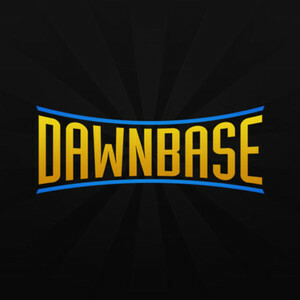 Hi i'm mikechimike or IC: Firaworks and i've written a few guides here on Dawnbase, check out my guides here as Blue Beetle or a slew of other characters. This guide (or as I call them studies) is for Supergirl. For she's a powerful brusier with great team synergy. And as much as she's like superman, she's very different. - her passive is very powerful, (and will probably be nerfed), but when fighting her a smart player will run away from her 1-2 hits in to avoid the full power of her solar furnace. - her skills seem to have great synergy with each other. Determination helps Worldbreaker and Bounding Strike cooldown, solar furnace (passive) improves Worldbreaker (and vice versa). Velocity 9 Implants (4) (for attack speed/move speed and crit), [[Deathstroke's Claymore (2)]] and if you can maybe [[Lobo's Chain (4)]]. The reason for the Items is that you want to focus on hitting your enemy as much as you can. Supergirl's passive allows you to deal true damage after the 4th hit, anything after that is painful. Getting Vel 9's , and deathstroke ensure that you hit faster, and lobo's chain helps you to keep them nearby while you're waiting to attack. Right now players aren't afraid to go toe-to-toe with Supergirl, but when enough find out about her effectiveness of Solar Furnace, she'll probably be avoided in team fights and people willl avoid her powered up. If you need sustainability, you can always go for Soultaker's Katana, but with the recent updates to it, you may want to opt for different Attack Lifesteal items. For the other items, you do want to prioritize more damage, but the primary 3 will give you penetration, sustainability and much needed attack/move speed (and crit!). The rest of course are situational. If you need more penetration (because of suit of sorrows), then go for Atomic Axe (2) instead of Coda Blade (4), [[Joe Chill's Revolver (4)]] (for Crit and Dmg). Need to get stomped on less? get some armor. etc. Claw Of Horus (3) has great synergy with her too, the more you hit, the harder she hits which works with her passive. I would definitely use it on a attack heavy team. On Gotham Heights you may want to start your build with a [[Cheetah's Claw (1)]] and Mace level 3. This leaves you room to refund the Mace as soon as you get back for something like Claymore/Joe Chills. From here just build up your base. Right now with my assassins /marksmen /bruisers i have a set focused on Crit Damage/Attack Dmg/Attack Speed and another focused on Attack Penetration/Attack Dmg/Attack Speed. I find both are effective, however it really just depends on when you have the items relative to the rest of the champions on the other team. Personally both work well for me, but my emphasis early and mid game utilizing her passive as much as possible. later in the game crit dmg and penetration either way could be effective, because if you are well farmed, your items will support it. So Penetration probably you see the benefits earlier on, but crit dmg is always that little surprise you never expect. "Q" -WorldBreaker - Superman's bread and butter, but not necessarily yours. Its like superman's but has a cone of dmg (and a cooldown instead of charges) for anyone behind the target. It also resets your Auto-Attack so you can quick hit. However the gains between levels right now aren't significant so you might want to hold off on leveling this up until later. Its good to put a point in for the reset, but the majority of your points will be going into other skills. "W" - Bounding Strike - An excellent disable, if you can target it correctly. If you aim it wrong though you could knock down a minion, but great for chasing and overall effective. "E" - Determination - For the amount of speed and armor you gain (and it Synergizes well with the above to skills reduces cooldown slightly), this is a great skill. It helps you chase which is key with Supergirl. Level this up pronto.! "R" - Comet - An excellent disable and affects any other enemy champions nearby, a great initiator for team fights and also if aimed correct, great utility for bringing an enemy champ away from their crowd and onto your team. Passive - Solar Furnace - your bread and butter. Her passive is what makes her unstoppable. It increases her attack speed with each successive hit, and adds true damage after the 4th hit. If anyone is dumb enough to stand toe-to-toe with you, you will make them crumple because of this. I've been successful in top laning solo , mid or laning with a person bot. She's also a great jungler with Worldbreaker and its area effect. Bounding strike/comet are great for ganks and taking players off the board. This current build isn't meant for tanking but alternatively if your team requires it you could focus her on heath and armor items and get a Spear of Destiny to take a more defensive and crowd control role. Combos when your target is in a group, or you want to plow their group replace "W" and "R" above. This isn't a cookie cutter guide, but written the best to my ability understanding Supergirl. Hey, nice guide you wrote here. Really helpful, thank you. I couldn't help but notice that in Amps/Modifiers section you talk about assassins/marksmen and use pronoun "his". Was that ment to be about Green Arrow? Why would you bother with Determination over World Breaker? I like your guide!, why would you use lobos and not any of your optional items instead? Great guide! I'll try it out when I get the chance to play her. Btw, "This isn't a cookie cutter guide, but written the best to my ability understanding GA" Does that mean Green Arrow?